The feder ation welcomes many high school students and college groups each year. They help us with our restoration, education and other projects and we help them with community service credits, senior projects and alternative spring breaks. The net result makes the coast a better place. 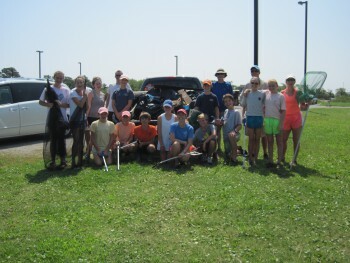 Alternative spring break groups often help plant marsh grass, participate in cleanups, bag oyster shells or monitor restoration sites. Contact an educator to find out what’s open now.